* Returning 2L and 3L students: There is a new platform for the study aids subscription this year. You will no longer access the study aids through your Westlaw account, but rather through the West Academic Study Aids website. This entry was posted in Exams, Law Library Resources, Law Students on August 22, 2016 by Tara. This entry was posted in CALI, Exams, Law Library Resources, Law Students on December 7, 2012 by Tara. Monday marks the first day of Spring 2012 exams, with Criminal Law kicking things off at 8:30am and Evidence getting underway at 1pm. Check out these new Evidence study skills books and browse through the library catalog for Criminal Law titles which will help you get ready for Day 1 of testing! Also, if you are looking for ways to use your time during reading week wisely and be more productive as you prepare for exams, read through the study tips on the Law School Academic Support Blog. 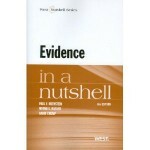 The Nutshell series of study skills books offer compact yet comprehensive reviews of major areas of law. 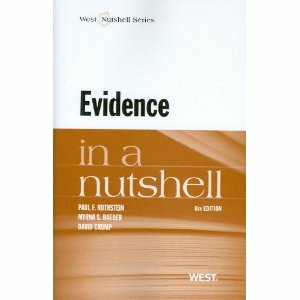 Evidence in Nutshell contains the newest version of the Federal Rules of Evidence, as well as notes on significant cases in evidence law and developments in expert and scientific evidence. 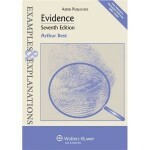 The Evidence E&E provides a good introduction to the concepts of the Federal Rules of Evidence and helps develop reader understanding through its case examples and detailed explanations. Particularly useful aspects of this book are the “plain language” version of the Rules of Evidence and a flow-chart that demonstrates how to analyze relevance and hearsay exceptions applied to out-of-court statements. 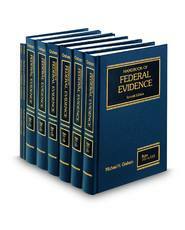 This eight volume set contains the Federal Rules of Evidence and materials designed to help aid understanding and application of them. It is written for trial attorneys and judges, but provides clear and precise statements of evidence law which are helpful for students as well. Please note that this set can only be used in the library. 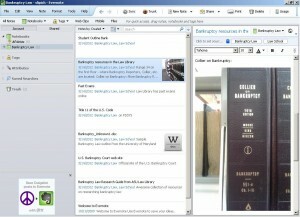 This entry was posted in Exams, Law Library Resources, Law Students on April 18, 2012 by Tara. The Zen of Law School Success is a new book in the Law Library collection written by the College of Law’s very own Professor Chad Noreuil. Professor Noreuil also wrote The Zen of Passing the Bar Exam. In this new book, Noreuil focuses on the law school experience and details how to put Zen principles such as simplicity, knowing yourself, and staying focused into practice in law school. He offers a comprehensive approach to succeeding at law school, as well as focused advice on how to deal with the classroom Socratic method, navigate the law school environment (including the competitive atmosphere), manage stress, prepare for exams, and get a job after graduation. It is an excellent resource for those students seeking to be successful in law school yet maintain balance in their lives. To read a little bit about Professor Noreuil, go to the ASU News website. Be sure to also check out Professor Noreuil’s Law School Zen blog. This entry was posted in Blogs & News Feeds, Exams, Faculty & Student Publications, Law Library Resources, Law Students on March 30, 2012 by Tara. – John MacArthur Maguire, Evidence: Common Sense and Common Law (1947). Each chapter provides a roadmap for addressing the topic through a series of cases and hypotheticals drawn from actual cases. The chapters can be downloaded as a PDF file, a Word document, or as an ebook compatible with an iPad, Kindle, or other e-reader. 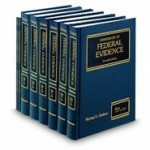 Be sure to download the up-to-date edition of the Federal Rules of Evidence from the eLangdell® Press website as well – it will be handy to have on your computer for in-class and exam-time reference. This entry was posted in CALI, Exams, Law Students on March 30, 2012 by Tara. What’s the difference between title to property held in fee simple, fee simple determinable, and fee simple subject to executor condition? The answer to this question (which you will need to know for your upcoming property exam!) and more lie in the pages of the new edition of the Glannon Guide to Property. Property is a notoriously difficult subject, but the Glannon Guide offers a clear and ordered review of property topics, organized around multiple-choice questions. Each chapter contains an introduction to the designated topic, followed by a handful of multiple-choice questions with explanatory answers. Topics covered in this book include gifts, adverse possession, fee simple estates, defeasible estates, life estates, reversions and remainders, executor interests, the rule against perpetuities, leases and assignments, deeds, and mortgages. 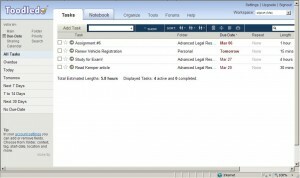 This entry was posted in Exams, Law Library Resources, Law Students on March 27, 2012 by Tara. Condense your briefs and class notes into outlines every week – outlining throughout the semester will help you retain the information you learned and keep you from having to re-learn material at the end of the semester. Additionally, having your outlines finished or close to completion at the end of the semester will decrease your stress level. Begin reviewing your outline early – regular review of your outline will lead to a deeper understanding of the material, and will make memorization of key subject components much easier. Meet with your professors – visit your professor during office hours to clarify any confusing points or issues. By doing this frequently, you will have a strong foundation before moving on to the next course topic. Stock up on school supplies – with an arsenal of pens, paper, ink cartridges, and index cards, you will always have what you need when you need it. Evaluate your study strategies and revamp if necessary – do you study best at home, at school, or in some other location such as a coffee shop? Do you get more out of focusing on one topic for a long study session or by switching among subjects? Are you using study time efficiently? For more thoughts on how to get your semester started off well, read Amy L. Jarmon’s ABA Student Lawyer article titled “Exam Review Begins Now” on the ABA Student Division website (requires sign-in). Larson offers some excellent techniques for improving your exam results in May. Look at the “Thinking About the Review Process” post on the Law School Academic Support Blog as well. This post is a little old, but its information on the four kinds of review that students need to accomplish throughout the semester to be prepared for exams is still useful. This entry was posted in Exams, Law Students on January 20, 2012 by Tara. Many of the over 300 CALI tutorials cover bar subjects, including civil procedure, commercial transactions, con law, contracts, professional responsibility, evidence, property, and torts. To access the College of Law’s subscription to CALI, please visit our Using CALI website. 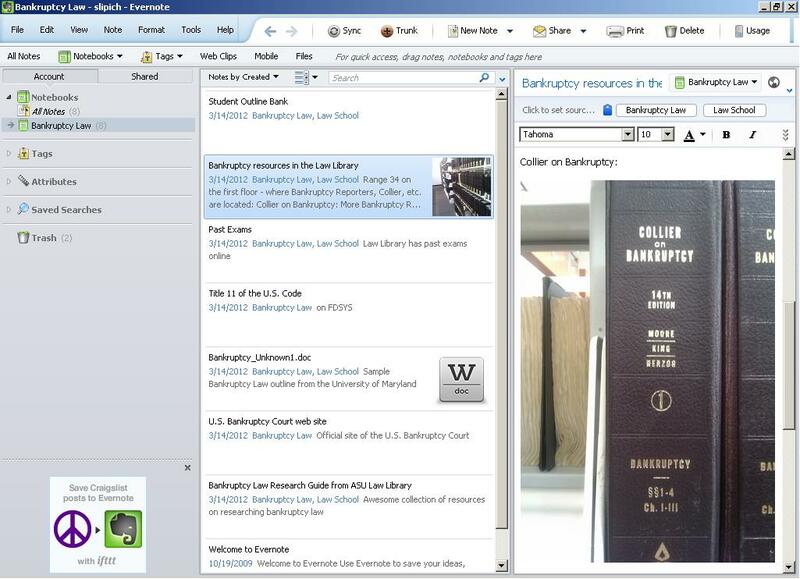 This entry was posted in Arizona & Local, Exams, Law Library Resources, Law Students on December 16, 2011 by Tara.